Mitchell McClenaghan believes New Zealand’s fire-power at the top of the order will be a vital component in their bid to win the ICC Cricket World Cup 2019 in England and Wales. McClenaghan, who has played 48 ODIs for the Black Caps – with his last appearance coming in January 2016 – is predicting a run-heavy Cricket World Cup next summer. In Martin Guptill, Kane Williamson and Ross Taylor, amongst others, New Zealand have a number of genuine world-class batsmen in their ranks. It’s this elite group that McClenaghan thinks New Zealand need to perform to their best if they’re to lift the Cricket World Cup in 2019. “I’ve been watching how New Zealand have progressed over this last year and I think they’re starting to build nicely towards the World Cup,” said McClenaghan, who will be turning out for the Auckland Aces in the 2018/19 New Zealand domestic season. “I think Colin Munroe has fitted in well at the top, taking Baz’s [Brendon McCullum] spot with that aggressive opening role and Tom [Latham] is doing well in the middle. “Think back to the last World Cup and Guptill’s innings of 237. If you’ve got guys in your side who can do that you’re a long way to putting yourself in a position to be able to take down a World Cup. Martin Guptill smashed the highest ever score in World Cup history during his 163-ball 237 to set up New Zealand's win over West Indies in CWC15. “I think batting is going to be incredibly important. I think there are going to be some big targets that are going to have to be chased down. Like many pundits and players, McClenaghan is expecting hosts England to be the side to beat at the World Cup next year. “I think you saw last year in the Champions Trophy Pakistan adapted well to these conditions at the same time of the year that the World Cup is going to be played. I think they always turn up to the big events and play incredibly well. 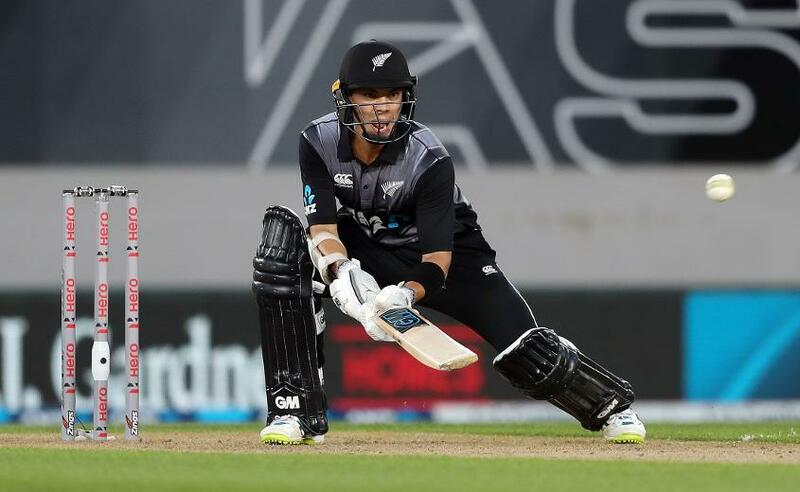 A number of youngsters have made their international debuts for New Zealand over the last couple of years, including Mark Chapman, Glenn Phillips and Tim Seifert. McClenaghan is expecting these young players to be pushing hard for a spot in the Black Caps’ CWC19 squad. “I think there are some fantastic young cricketers coming out of New Zealand. The likes of Tim Seifert had a good debut and played well when he came into the side in the T20 format.